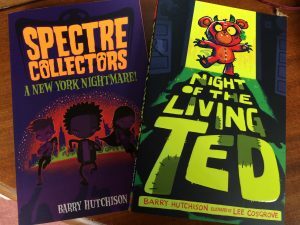 We’re celebrating the publication of two splendid new titles by Barry Hutchison – Spectre Collectors: A New York Nightmare, published by Nosy Crow, and Night of the Living Ted, illustrated by Lee Cosgrove, published by Stripes. 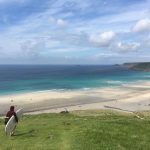 Those already hooked on Barry’s books will find everything they know and love – great stories, brilliant dialogue, fun, frights, fights, near-misses, nail-biting moments etc. If you haven’t tried his books before these are a great place to start. 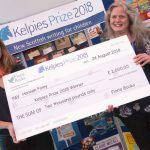 You’ll be able to order both novels from all good bookshops, if they haven’t yet got them in stock, or head for your local library.